An impressionist painter doesn't look to create an exact replication of their subject but rather an abstract interpretation of it. Jazz is an American born musical artform. Truly great jazz performers splash colors of musical tones and rhythms into the air for the enjoyment of all who hear. 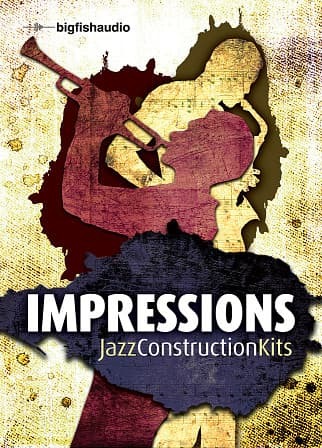 Inspired by great jazz artists such as Miles Davis, Buddy Rich, Duke Ellington, Herbie Hancock, Max Roach and Art Blakey comes Impressions: Jazz Construction Kits. Played and recorded to perfection, these kits are stunningly beautiful. The kits contain drums, electric and upright bass, piano, electric guitar, saxes, clarinets, flute, and trombone. 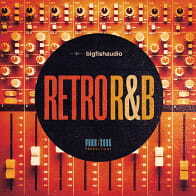 The beat is swinging and the melodies are truly works of art. This massive library will inspire your own music to new levels. Whether you need a swinging rhythm section or a great jazz trumpet solo, Impressions: Modern Jazz is the library you need. The Following End User License Agreement is included with Impressions: Jazz Construction Kits. This License is only valid for the individual who has purchased an unopened, new and lawfully made copy of Impressions: Jazz Construction Kits from a dealer or distributor authorized by Big Fish Audio.